So, if you’ve been around here much you’ve probably realized that I’m short on space and that because of such I like gifts and decor that don’t have to come down or be put away once the holiday passes. So, this is more of a decor idea than a gift idea, but it’s one you can leave up all year long. And, double bonus, it’s easy to change when you want something new. What is it you ask? Well, it’s a personalized clock! Woot woot, right? Ha, yeah, especially when I tell you it cost me about $2. And I entered a giveaway for a similar (albeit, much nicer) clock and thought about getting one for my parents for Christmas, till I saw the price tag. I scratched that right off my “to-buy” list. 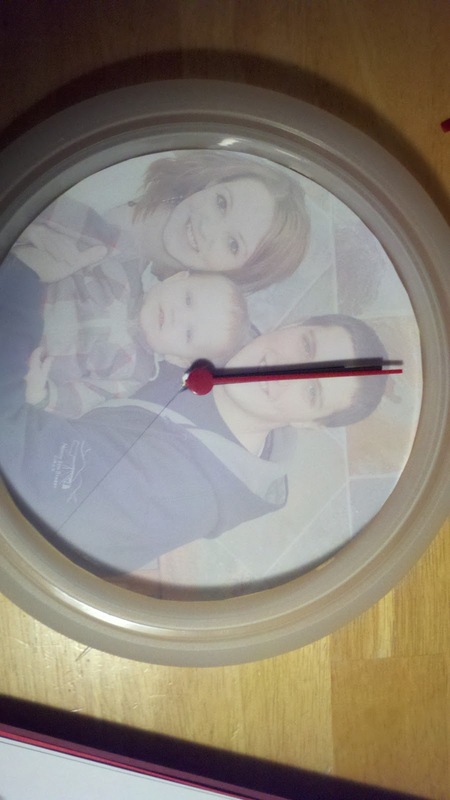 $68 for a clock? Not on my budget. Ok, enough of the running of the mouth, uh… fingers? 1) Buy a clock. The quality and size is totally up to you. 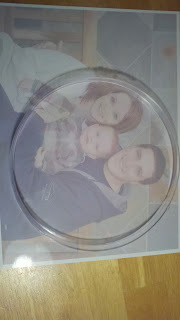 However, if you want to be able to print your photo at home, keep it small. You can always get larger prints from a photo center though, so don’t let size limit you. I bought mine at IKEA for a buck. 3) Decide where you want to place the photo. I popped the plastic cover off and used that to help me place my photo. 4) Trace around the plastic cover. Cut just inside the line to allow for fit. It’s better to cut big and need to trim than to cut too small. 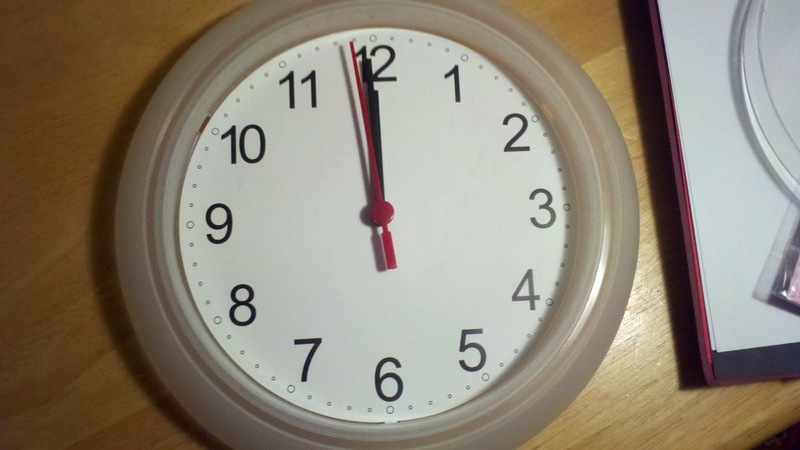 Also, look at the center of the clock. What does the spindle mechanism look like? Are you going to have to cut around it? I did. Mark it on your photo if so. 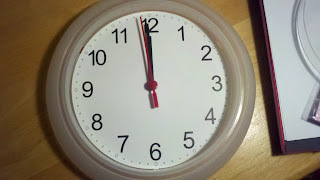 5) If you have a clock like I did where the spindle mechanism doesn’t remove you will have to cut a slit in your photo to place it under the hands. If the spindle does remove, then by all means, do that instead. It will result in a much cleaner finished product. 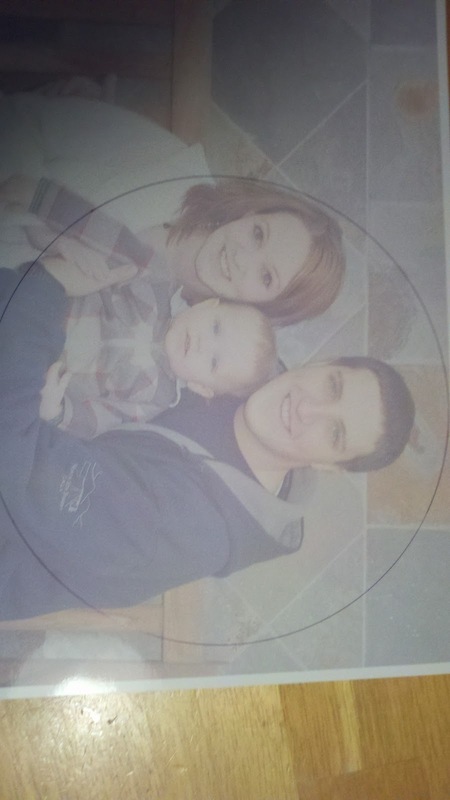 Choose a less important part of the photo and make a clean cut all the way to the center. You will probably also need to cut out a small circle for the spindle mechanism. Exacto knifes are great for this, but make sure they have a sharp blade and use firm pressure so you don’t just score your photo instead of cutting all the way through it. 6) Position the picture under the arms. Do this carefully. When you have it in place, use a few dots of tacky glue to hold it still. 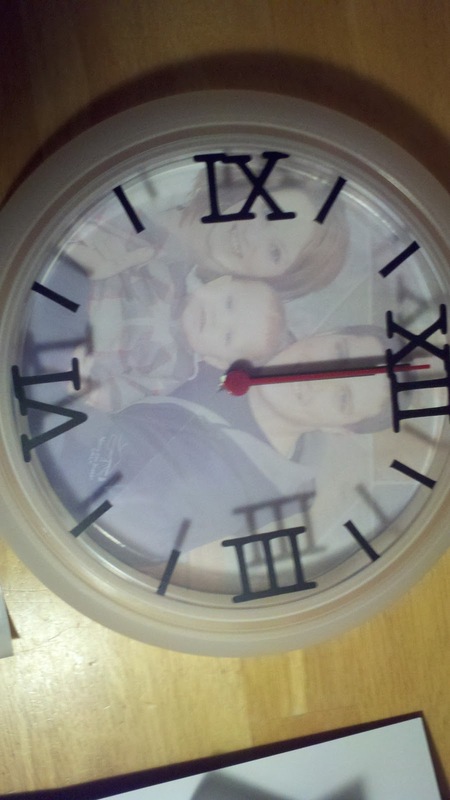 Note: Make sure the photo is lined up with the numbers on the clock. 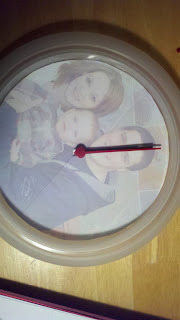 Top of the photo should be at the top of the clock. 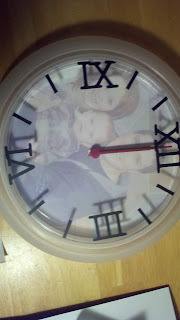 7) I then marked the placement of the numbers on the clock so I could accurately place them on the cover. I just popped the cover back on and wrote on the cover with a dry erase marker. This is where you could easily customize to your own taste. No numbers, roman numerals, numeric, spell a word, whatever your little heart desires. 8) I applied my numbers to the cover. I used self-adhesive vinyl. The good thing about this is that if I want to change it, it’s as easy as peeling the vinyl off and sticking new stuff on. Can’t ask for easier. 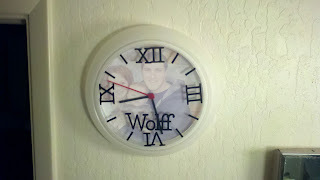 9) I also added a personalized name to the clock, just to make it a little more special. It was a cheap project, and the results aren’t quite Pottery Barn quality, but sheesh… it’s just going in our bathroom! If you are need vinyl numbers or lettering, let me know. I can hook you up. I’m awesome at custom Etsy orders. A variety of fonts and colors available.